When Westword (local indie newspaper) does its “Best of” list, of course I go and look at the food suggestions. This year, the award for best Soup Dumplings went to a new place, so of course I had to go check it out. My friend Erin is always up for soup dumplings, and was especially up for two different kinds in one day, so off we went. Now, if you haven’t been lucky enough to live somewhere with a large enough population that they have specialized enough Asian restaurants to have soup dumplings, I am so sorry. 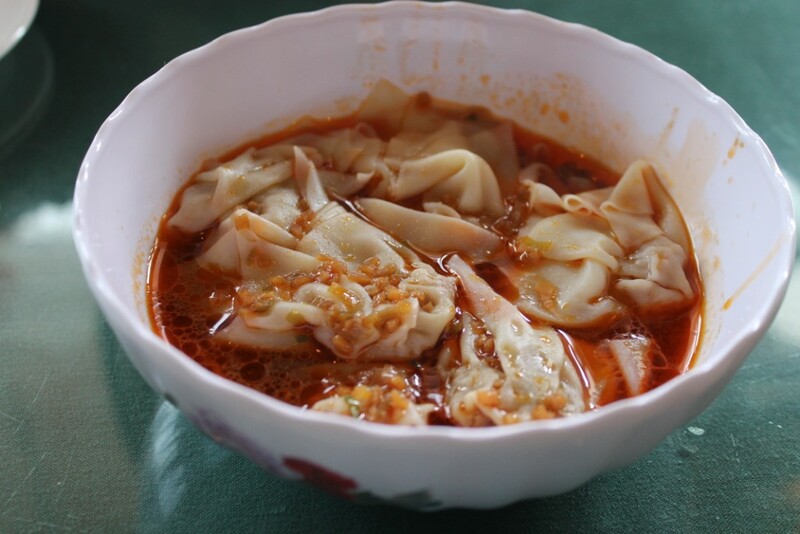 You need to try them sometime….They are not like the dumplings I grew up with – these are like a wonton wrapper wrapped around a meaty filling. 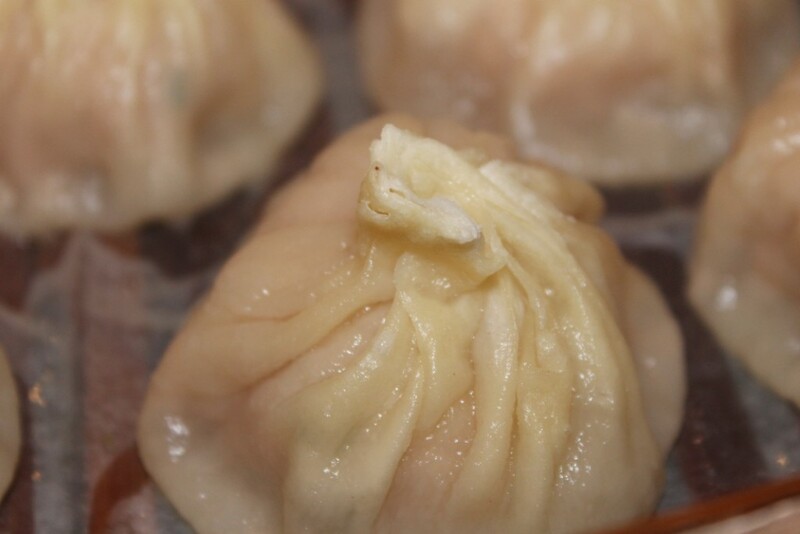 Soup dumplings are even more special in that they also have broth in with the meaty filling. 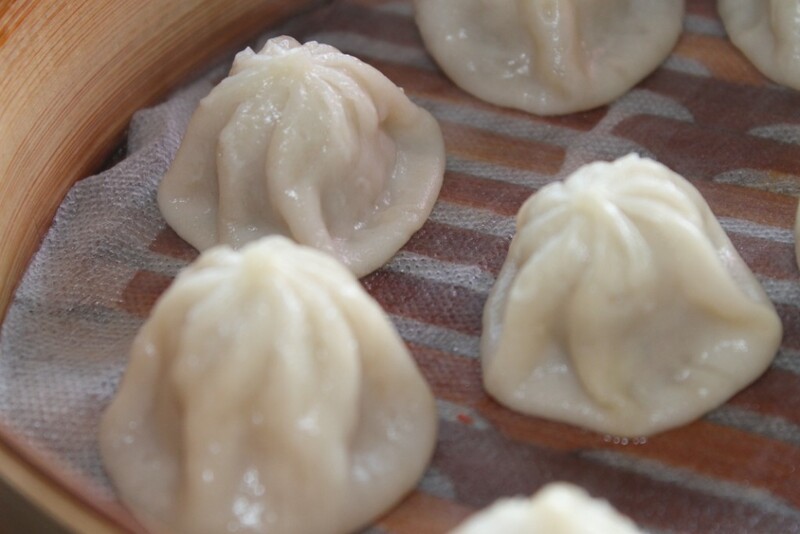 These are obviously tricky to make and tricky to cook and deliver to the table so the broth stays in the dumpling and is nice and hot. 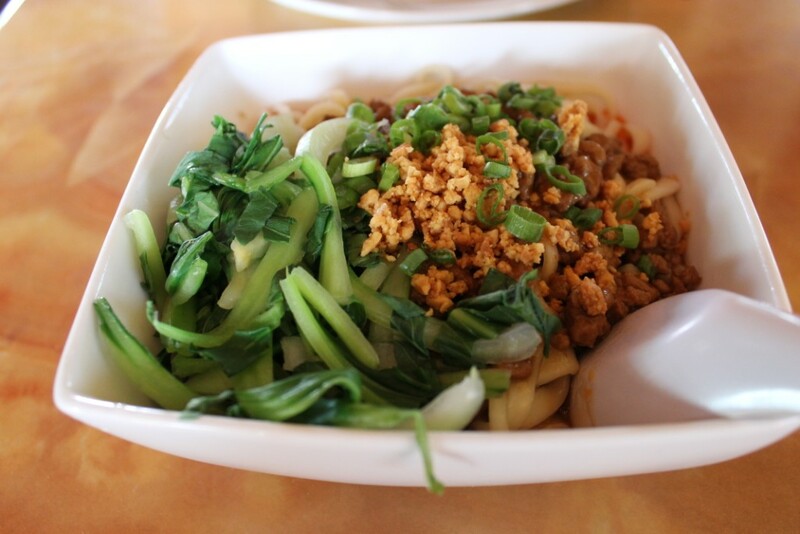 We had the Dan Dan noodles as an appetizer – they were excellent, with their topping of chopped peanuts and some bok choy, mmmmm. Very spicy. It was a good thing the Dan Dan noodles were excellent because the soup dumplings were kind of disappointing. They didn’t seem to have much broth in them to start with, and then didn’t have the structural integrity to keep what they did have when you picked them up with chopsticks. The bottoms of them stuck to that paper liner, some of them held together but some of them left their bottom behind. Even the ground pork filling didn’t fully stick together. They were tasty, but they were not ideal xiao long bao. We had no problem finishing them, though. I definitely want to go back and sample many of their other menu items, I wish they weren’t so far away. We got to talking about Art-O-Mat (more on that tomorrow), and stops we were planning on making on the way to the next place (more on that tomorrow) and made our way to our “in-between” stops with minor difficulties in getting lost and cursing the map. 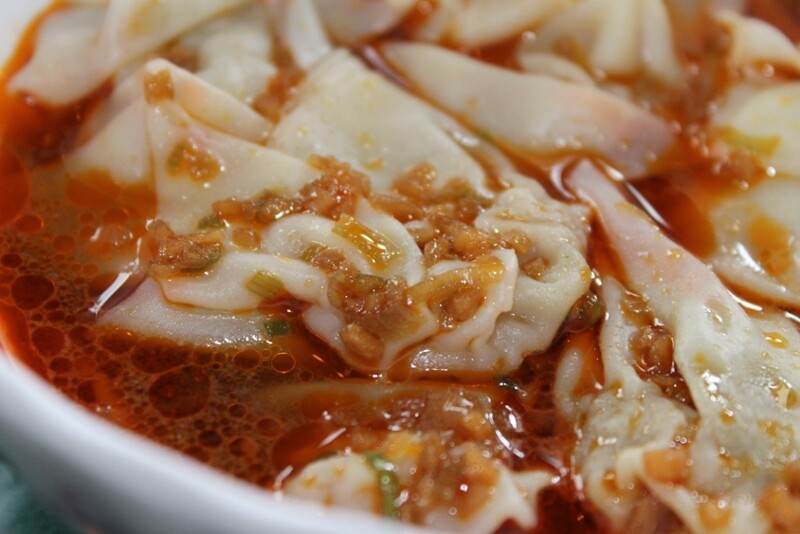 We made our way to Lao Wang Noodle House which was Westword’s Best Soup Dumpling for 2011. According to Erin and me, it is still the best. I had been here before, but by myself. Having another person along allows you to order more and try more different things! : ) (Denver Post story from 2009) – they don’t have a website at all! The place was packed. I think it only probably seats about 24 people, and the tables were all full, and there was a party of 5 in front of us. Pretty soon a big party cleared out, and the party of 5 took their table, and the elderly proprietor found Erin and I two chairs for the empty table near the door. It is just an older gentleman and his wife, running the place on their own, so they do their best to get you seated and set up with utensils, water, etc., but you might have to wait a bit while they bring out another order of soup dumplings to the table next to you. Dumplings seem to be the order of the day there, from the soup dumplings to the pan fried dumplings, which we did not have, but saw several other tables enjoying. We were hungry again after our adventures en route and decided to start with the wontons in spicy peanut sauce, these were also good. 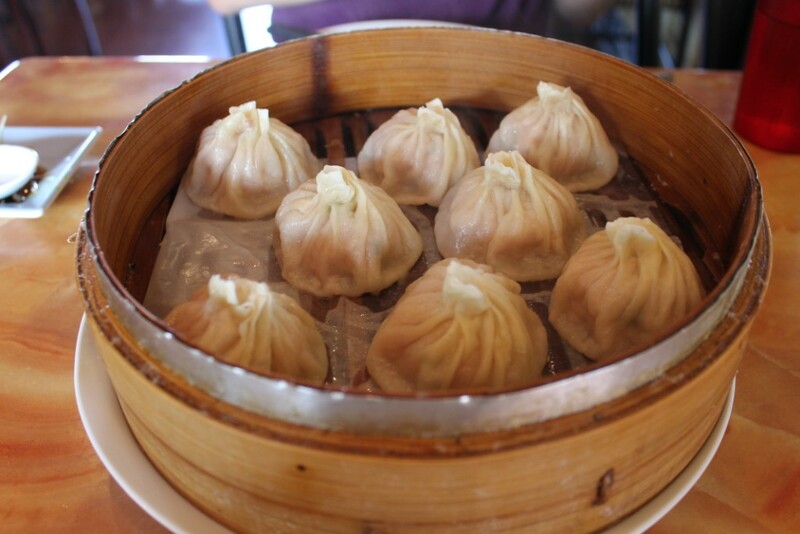 Next time I want to try the beef soup and the szechuan cabbage (AND the soup dumplings of course…. )The sauce wasn’t very peanutty, except that it had ground peanuts in it, but no peanut butter. And nicely spicy. And then it was time for the soup dumplings. Lao Wang also has more of an assortment of condiments on the table for you to mix up your own dipping sauce. Chili paste, sesame oil, white vinegar, and soy sauce. I, of course, threw in a little of everything. Smaller, but more of them. Also, they did not stick to this paper. The structural integrity remained just fine on ALL of these. Mmmmm, now that I have everyone hungry, and I am hungry myself, I will tell you that tomorrow there will be MORE! FOOD! PICTURES! How surprising! I hope you enjoyed the soup dumpling tour of 2012. 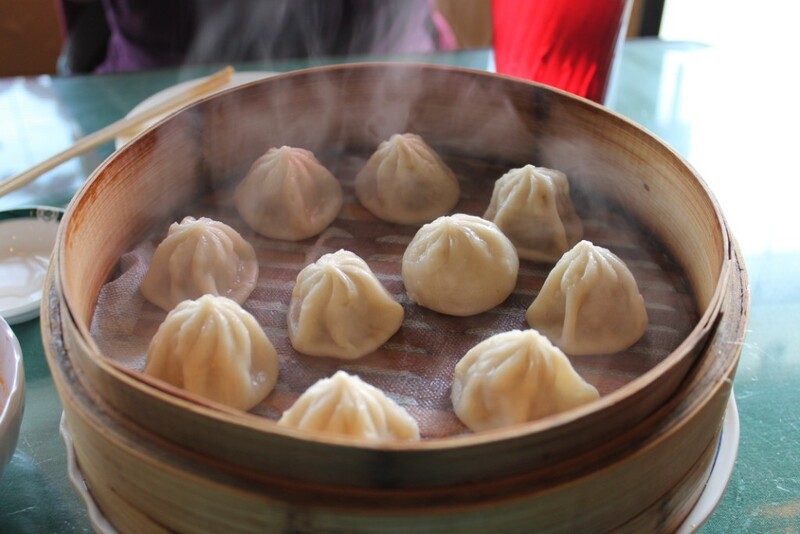 If we find some more soup dumplings in the Denver area, we will be glad to make the sacrifice and try them for the good of mankind. 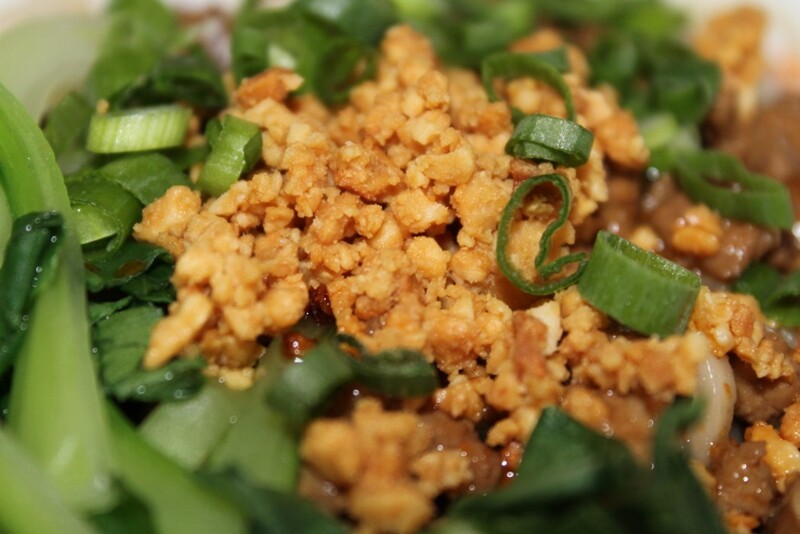 This entry was posted in Restaurant reviews and tagged Aurora restaurant reviews, Dan Dan noodles, Denver restaurant reviews, Food, Lao Wang Noodle House, Tao Tao Noodle Bar, xiao long bao by glenderella. Bookmark the permalink. cDo you eat them “dry” or in a broth? You just eat them as is, the broth is inside them. Well, I take that back, you can concoct some dipping sauce with the soy sauce, vinegar, etc. on the table, that is to your own taste.